Insurance is an important part of your business and it offers you financial peace of mind. If you’re in the market for a business insurance quote, you probably have a few questions before you commit to a policy. Let’s take a look at some of the most common questions we get asked. No matter the size of your business, you’ll need business insurance to ensure that you’re protected financially when things go wrong. A lot of businesses think it’ll never happen to them, but the unexpected can happen and the last thing you need is to find yourself financially liable following a claim. In some cases, certain types of cover, such as workers compensation, will be compulsory. Having insurance in place simply makes good business sense. The cost of your business insurance will depend on a number of factors, including the size of your business, the number of employees you have, the type of work you do, what assets you have and where you operate from. The greater your perceived risk, the more you can expect to pay in premiums. You can opt for a higher excess to lower the cost of your premiums, but make sure you’re able to easily afford your excess amount if you do need to claim. If you’re finding the process of taking out business insurance too time consuming or you’re not sure if you’re getting the best deal, it’s best to speak with a professional insurance broker. They take the hard work out by acting on your behalf to find the best insurance policies possible to suit the needs of your business. They’ll also be able to step in at claim time and liaise with the insurer for the best outcome. 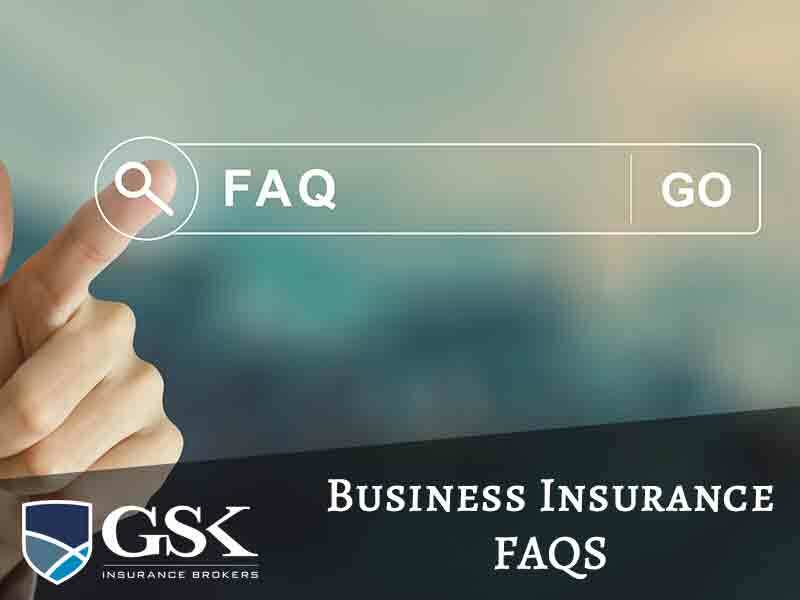 When it comes to business insurance, GSK Insurance Brokers lead the industry. We have extensive experience with businesses of all different shapes and sizes, and our team can help you navigate the often complex world of business insurance. We take the time to assess your risks and ensure that you have the right level of cover for ongoing peace of mind. For business insurance quotes online, the team at GSK Insurance Brokers can help. Simply fill out our easy online contact form or give us a call today on (08) 9478 1933.